Minifiction is a collaborative writing project by authors James Stanson and Jamie Hershing, and an exploration of the short-form. 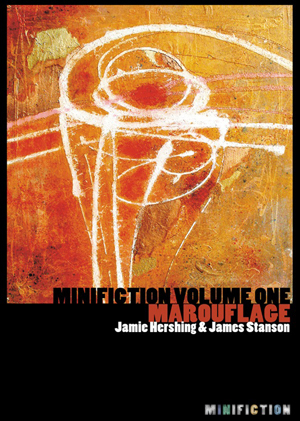 Minifiction Volume One: Marouflage is now available as a free download. Contact James Stanson or Jamie Hershing directly, or follow Minifiction on social media.